Try saying the title of this album five times fast. Ever imagine what kind of metal would come from people from the forest armed with flutes, lutes, and medieval flare? 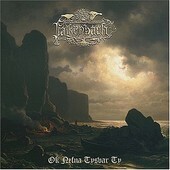 Well, wonder no more, because Falkenbach have answered that burning question by releasing its latest album after a six-year layoff. On the seven-track offering, a foundation of folk and Viking metal is apparent from the onset of opening track "Vanadis", whose majesty remains constant throughout the entire release. Accentuating the heroism of metal, Falkenbach's group choirs and hymn-like compositions make this release a near religious experience powered by the undeniable might of metal. Viking horns and Nordic outfit not included.